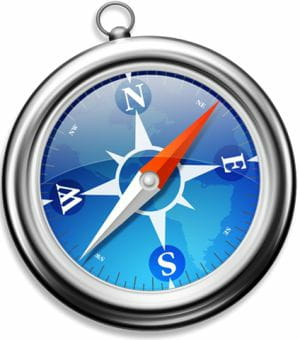 First released in January 2003, Safari is Apple's Web browser for Mac OSX, Mac iOS and Microsoft Windows. It is offering multiple features and some of them are detailed below. Thanks to this feature, users can easily find what you are looking for. A Top Hit is suggested by the software and also from your bookmarks and history for a fast web search. Once you are on the right page, Safari fills in the entire URL. For this function, users are given the possibility to have a big picture of their browsing to view the real content of a page (accurate search). To access a web page, they just have to tap a tab and this is making surfing fun and natural. Safari, with this feature enables you to pick up the web wherever you left off. Since it is compatible with iPad, iPhone and iPod touch, searches can be synched with Safari. So then, to have your latest visited website directly on your device, you just have to click on the iCloud Tabs button in Safari toolbar and voila. Apart from that, Safari also features a built-in sharing option to post messages or URLs on Facebook, Twitter or other clients. This latest version for Windows offers a better privacy for its users as well as some improvements for Chinese users. Latest update on May 20, 2015 at 06:09 AM.